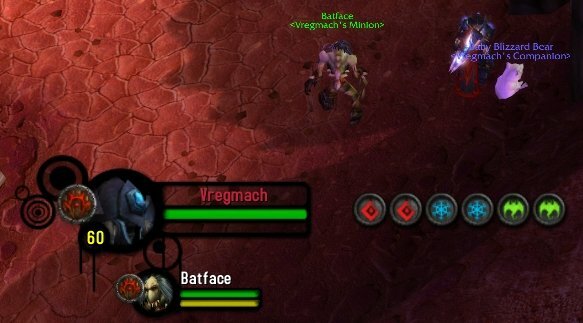 Rune-It-All adds more features and functionality to Blizzard's rune frame, including size, movement, transparency, cooldown text, various art styles, and more. Have I really fixed the Death Rune issue?! Fixed YssDrop complications - Please update your YssDrop too! More attempts at fixing the rune issues! Unregister Blizzard Events! Stop fiddling with my code! Pretty sure I fixed the Death Rune problem! Fixed dreadful Unholy/Frost rune bug. What a pain! Let me know if you all have any questions or comments. Something broke? Want something added? I will fix and/or consider! It was "Vector UI," as far as I can remember. I'm not sure you will still be able to find it! Sorry. I do sincerely apologize for the lack of updates and communication. I have just updated the AddOn with the very minor fix, rectifying compatibility issues with Pet Battles. Thus, Rune-It-All is now compatible with the Mists of Pandaria expansion and latest patches. If you do run into additional issues, please let me know. I haven't forgotten about the improvements I began to make this past summer; priorities are just not there at the moment, but I will do my best to have something to you within the next couple of weeks after the holidays have drawn down. Thanks for your patience, enjoy, and Happy Holidays! I've fixed the issue rather quickly, so I've gone ahead and begun work on a semi re-write of the code. The code is not only going to be better organized and easier to read, but should also provide a small performance boost and memory usage decrease. Stay tuned. I should have an additional update by the end of the week. Last edited by Cralor : 08-21-13 at 10:27 PM. Great news all! I am currently working on an update to fix compatibility issues with the latest WoW version. Stay tuned! It would be great to add a prioritisation system similar to the one implemented in DKM. Basically, if I use 2 rows of runes, the ones rechargina automatically shift to the upper row. Last edited by Cralor : 08-15-13 at 11:06 PM. Hmm... maybe I can add another call to the images at a certain time to update them... that may be not very efficient though, but I've already done that several times in my code. edit: at some point, I may re-write the AddOn to be more "efficient" so-to-speak, but it currently seems to be decent (do you agree?). I know the actual code may not look super pretty we'll see. I would like to add that it seems that the Death Runes are being recognized by the AddOn. It appears that the AddOn just simply doesn't check if those runes are Death or Blood when the images are loaded. Last edited by Cralor : 03-12-12 at 10:37 PM. Noted. I will take a look at these issues as soon as I can. I just returned form Spring Break and now am back to duties of college (aka pretty darn busy!). I'll see how the week pans out and what time i can devote to testing. I would just like to say that your AddOn is my favourite of all the rune monitors out there, with the perfect balance of function and form! I've only had one real issue, when playing with a Frost spec. The only way to make them appear as Death Runes again is to activate a different spec and then activate Frost spec again. There are no issues when a rune is "actively converted" (Blood Tap, Blood's Death Strike or Unholy's Festering Strike), but Frost has blood runes passively and permanently converted. Interestingly enough, when I enable Rune Color Cooldown Text, the AddOn actually recognizes it as a Death Rune, despite displaying a Blood Rune. Last edited by Colonel : 03-11-12 at 07:45 PM. Thanks for your kind words and feedback. Also, don't hesitate to provide additional suggestions! Is anyone having any current issues with the AddOn? The only issues I've had were death runes becoming blood runes after dying and coming back in a raid or instance (in frost spec). Also, it seemed like when in Blood spec after dying my runes would all be the cooldown alpha even though they were good to go. Using the runes, though, would correct it after they came off cooldown. * I haven't checked since your latest update so I will be sure to update and check these issues out again.. Thanks for your work on this AddOn, great stuff! !